The Chief Minister's Distress Relief Fund (CMDRF) in Kerala is currently fully administered over an electronic platform. 1. The fund is operated by the Government Principal Secretary (Finance) who is a senior I.A.S officer. Presently Sri. Manoj Joshi IAS is the Finance Secretary. 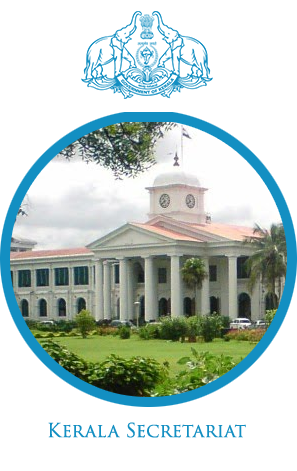 Contributions to CMDRF is remitted to bank accounts maintained in State Bank of India, City main Branch, Trivandrum as well as pool accounts of various nationalised and scheduled banks and the funds are released only through bank transfer. The pool accounts have been created recently for the functioning of the online portal. The funds can be withdrawn only under the hand and seal of the Finance Secretary. 2. Though the fund is operated by the Finance Secretary, the CMDRF is administered by the Revenue (DRF) department in Government. This would mean that the Finance Secretary who is authorized to operate the bank account of CMDRF can not withdraw /transfer the money at his or his department's whims and fancy. This is possible only as per a Government Orders issued by Revenue Secretary. 3. The financial delegation available to each tier/ officer involved in CMDRF administration is also fixed by Government orders. Government Orders regulate the amount that can be sanctioned by the District Collector, Revenue Special Secretary, Revenue Secretary, Revenue Minister, and the Chief Minister. Over and above, it rests with the Council of Ministers. 4. Now CMDRF is fully web managed and it has become extremely transparent. Transfers to the end beneficiary is done through Direct Bank Transfer system. 5. Right To Information Act (RTI) is applicable to CMDRF and the people are entitled to get all information on it. CMDRF funds are open to audit by the Comptroller and Accountant General and the budgeting and expenditure is subject to scrutiny by the State Legislature. The CMDRF is a public fund constituted for the purpose of giving relief in cases of privation and also to those affected by fire, flood, cyclone sea erosion and similar other calamities. Educational Cultural and Charitable Institutions of a public nature, which are affected by such calamities and whose financial position does not enable them to repair the damage caused to their property and bring them to a normal condition are also eligible for financial assistance from the Fund. Relief may also be provided from the Distress Relief Fund for the workers thrown out of employment for the reason beyond their control, in units not covered by Employees State Insurance Schemes or Employees Provident Fund Schemes in the traditional sector alone. Financial Assistance from this Fund will be restricted to cases not covered by other special relief programs of Government.The term “Privation” does not refer to ordinary cases of poverty, but refers only to exceptional cases of real hardship due to sudden loss of income where the District Collector is satisfied that financial assistance would be necessary. The application for Financial Assistance in the specified format is received in the Village offices. People can also submit application onlinein the CMDRF portal, through Akshaya Centres, and also through the offices of MPs and MLAs using the application interface provided to them. In the case of accident deaths FIR and Death Certificates are to be produced. For Medical treatments Medical Certificate from a qualified Medical Officer should be provided. In the case of Distress due to calamities the Village Officer reports particulars of the people affected and forward this to Collector through Tahsildar . The applications are processed by the Revenue Department. All the processing is done electronically –(cmdrf portal).The applications received in online modes will be automatically forwarded to the concerned Village Office for validation of the details furnished by the applicant. After the validation at village level all applications will be forwarded to Taluk office, Collectorate and if necessary to Revenue Special Secretary, Revenue Minister, Chief Minister and Council of Ministers through electronic process. Currently the approved payments are then transferred to the beneficiary bank account through DBT.